You’ve decided. This is your year. You are going to take more risks, meet that special person or aim for that promotion. You are going to get your finances in order. Yes, that is right. This is a serious priority for people this year. Recently, the Bank of Montreal Wealth Institute released a study stating that 80 percent of Canadians are putting money before love with their New Year’s Resolutions. It seems 2014 is the year of personal finance. 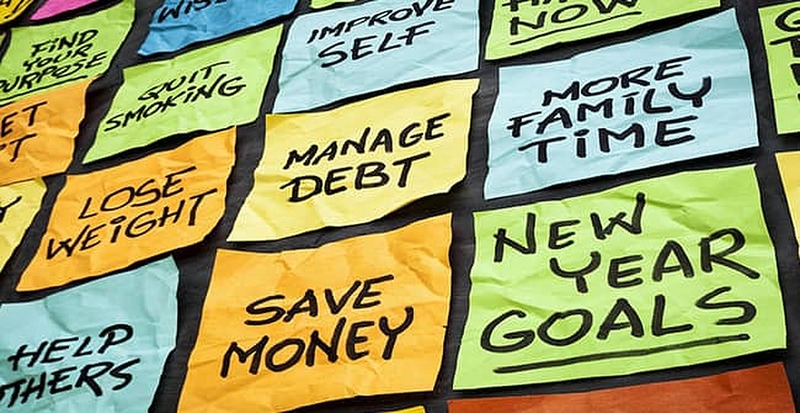 Thirty six percent of people polled resolved to improve their finances this year, second only to health and fitness goals which made up 51 percent of goals. Money (36 percent) also came in ahead of such goals as personal (learn a new skill, volunteer) at 31 percent; love (dating, marriage) at 19 percent; and workplace (change career; get a promotion) at 17 percent. The study cited that people wanted to get their money in order but did not always have a lot of confidence when starting the process. People reported the biggest barriers to creating a financial plan were believing they do not have enough money to start a plan (37 percent), that they do not know enough to start one (28 percent) and that they are unsure of what a financial plan involves (19 percent). The good news is that you don’t need to make a lot of money in order to have a financial plan. Small things can lead to big results. Your financial plan can be as simple or as complex as you need it to be and it can change as your goals change. Another piece of good news is you do not need to forgo all of your fun while you are on your journey to financial freedom. You need to start with your goals. If you are not used to planning out goals, it can seem overwhelming. Maybe you do not know where to start. Perhaps you have always wanted to take a year off and travel around the world. You know you will have to spend a few years saving up and planning everything out. Is it too far away? Does it seem impossible? Sometimes turning the impossible into the possible is just a matter of developing the skills. A financial plan is not just about estate planning, investment portfolios and insurance needs – it is your road map to achieving the goals in your life. Let’s go back to our trip example. Start small. Plan a weekend trip. Once you plan and budget for a destination, transportation, activities and create timelines for a smaller outing you will realize the basics are the same. The rest is all a matter of scale. If you plan a weekend trip for mid-March, work out a budget in January. Divide up the total between pay checks and put the money aside in a different account. Enjoy your weekend jaunt when the time comes. That is a financial plan. You reverse engineer your life dreams and you plan out how you are going to make them happen. Motivation is not something that just happens to you, it is a skill. It has to be cultivated over a period of time. While it does not have to be a really painful process, it does take patience, practice and effort. It is important to plot out small milestones along with your bigger goals, especially if it is a long-term aspiration. Staying on track is a daily decision. Keep yourself motivated by thinking creatively about the goal you are trying to accomplish. Perhaps you have a goal of getting into better shape this year but going to the gym sounds boring to you. Ask yourself how you can make this fun, maybe you are a fan of kung-fu movies and would rather take karate lessons instead. Keep daily reminders of why you want to achieve your goal. When it comes to your financial plan for your life, focus on the outcomes rather than the process. Tape your goals to a mirror and read them every morning when you wake up to remind yourself what is important. You can also keep a small picture of your goal – a picture of Angkor Wat to symbolize your world trip – in your wallet so you can look at it every time you are tempted to buy something. 3. Avoid all or nothing thinking. All or nothing thinking is a trap – it sabotages you before you even have a chance to start your chosen project. It is like shooting a thoroughbred in the leg and then expecting it to win a horse race. If you think about it, it’s hard to be successful at something if you don’t allow for any mistakes. A good beginning tip is to focus on what is needed in the situation. If you can sort through your own feelings, you will probably come to realize that what is important is not about perfection. Instead, it is about showing up and doing your best whether that is with your relationships, your career, or your money. Often times, we are our own worst critics and we do not even realize it. Whenever you try something, there are going to be mistakes. You may have vowed to put an extra $200 towards your student loans, but you are a bridesmaid in a wedding and had to buy a dress this month. Instead of flogging yourself with failure, try and be compassionate towards yourself and make adjustments for your plan in the future. Maybe you decide it is more realistic to put aside $175 a month and the other $25 goes into a special occasion fund for birthdays, weddings and Christmas. Just get started. You don’t need to be a stock broker or an investment specialist to start thinking about your life and what you want from it. For instance, planning your retirement starts with knowing what your priorities are – family and children, exotic vacations, a nice house or a career change. Understanding who you are now helps you visualize your future. A random dollar amount that you are aiming for does not help you when you don’t know what you are spending it on. Lindsey is a freelance writer and blogger at Cents, Sense & Sensibility. She lives in Calgary, Alberta and writes about life and money to pass time during Canada's eight-month winters. When she isn't writing Lindsey is dodging her daughter's teen angst, spending time with her husband and defusing the wrath of her jealous wiener dog. Follow Lindsey on Twitter, Facebook and Google+.